Do you often wake up feeling there was a significant message in your dream, but you’re just not sure what it is? Like Daniel and Joseph, do you long to be able to help others understand their own dreams and win them to Christ as you explain His night messages to them? Wouldn't it be nice if you could receive mid-course corrections from the Lord while you sleep? Do you wish you could be receiving divine inspiration, creative solutions to problems, and direction from the Lord during that third of your life that you’re “just” sleeping? Do you feel like sleep is a "waste of time"? Do you usually only remember bits and pieces of your dreams that don’t make any sense? Or worse yet, not remember any of your dreams at all? The Bible declares that God counsels us at night through our dreams (Ps. 16:7) and is full of examples and illustrations of this principle. In the dreams in the Bible, God gives wise direction concerning the next step to take. He grants wisdom and encourages people in faith. He shows them how to escape coming calamity and how to provide for their families in the midst of imminent disasters. God even enters into covenants with people and grants them gifts in their dreams! This teaching series leads you in examining every dream in the Bible to see how they reveal and illustrate principles of Christian dream interpretation. You will receive abundant confirmation that God speaks to His children through their night visions (Num. 12:6; Acts 2:17). You will also explore your own dreams, learning the language of symbolism which your heart uses as it communicates to you God's divine wisdom. You will learn how to let the Holy Spirit be your Teacher as you learn to interpret God's messages to you through your dreams! All of us can learn to hear from God during the two hours of dream life we have each night and these training materials will coach you in this skill. 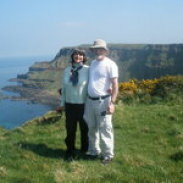 I have just interviewed Mark Virkler, an extraordinarily gifted man of God who teaches a course on understanding dreams. I have interviewed many on this subject over the years, but Mark’s approach is different. He is a very logical teacher. He guarantees after taking his course you will have at least a dream a week and understand them! I took him up on his challenge, and it is working for me. I have had very few literal dreams in my life. And frankly, I usually ignore the symbolic dreams. I call them “pizza” dreams. However, since I started following Mark’s instructions, I have had dreams and I understand them! None of the other courses have worked for me. Now I have received major direction! I am so excited when I go to bed and look forward to God speaking to me in my dreams. What makes Hear God Through Your Dreams so valuable to you? The most practical training series in the world on Christian dream interpretation! All the dreams in the Bible are explored and meditated upon. You gain God's perspective on dreams. You see how God interprets dreams, and now you follow His pattern. Clear non-contradictory principles are distilled and laid out. From the Bible we organize a "how to" approach for interpreting dreams. This approach is practical, easy-to-follow, and yields excellent results. You practice applying the principles as a group. You gain confidence and skill in your ability to interpret dreams. You begin receiving God's counsel nightly and are able to act on it. The quality of your life improves, because you are receiving, understanding and acting upon the advice of the Wonderful Counselor. The DVDs and CDs correspond with the Hear God Through Your Dreams book. We recommend utilizing the book while watching the DVDs or listening to the CDs. In addition, the book offers more background information as well as application exercises and classroom activities. For maximum results, draw together some friends into a home group or Sunday school class for three months. During the first five weeks, watch the DVD sessions. Part of your weekly gatherings should be an application exercise in which a volunteer shares a dream they had during the previous week and the group applies the principles they are learning to interpret the dream together. During weeks 6-12 you will have time to interpret at least three dreams per session, giving you the opportunity to interpret about 20-25 dreams together as a group. If at the close of 12 weeks, the group feels comfortable that they have mastered the skill of dream interpretation, then move on to another course of interest. However, you may choose to continue with dream interpretation for another 6-12 weeks until all become confident that they are receiving God's wonderful counsel through their nightly dreams. This skill is a crucial key to succeeding in life. You want to master this ability and be confident in it! The DVDs bring an anointed trainer to your group, the book adds depth as you research every dream in the Bible, and your interpersonal sharing gives you instant feedback and confirmation that you truly are receiving God's counsel through your dreams! An unbeatable combination. 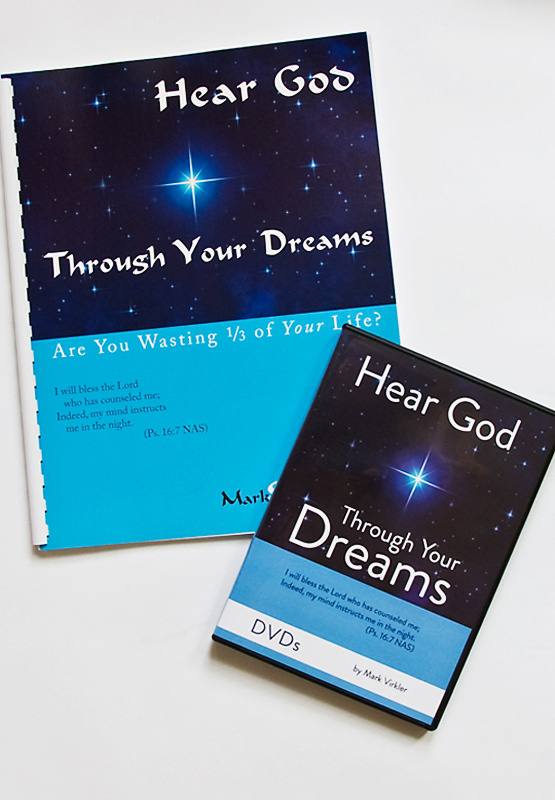 Hear God Through Your Dreams DVD Package Contains These Amazing Resources! Part One starts with twenty pages of distilled practical principles giving precise, clear, non-contradictory, biblical guidelines for interpreting dreams. This will equip you with the tools you need to begin interpreting your own dreams. Part One continues by having you explore in detail the nearly 50 dreams recorded in the Bible, using guided biblical meditation as your method of learning. You will be asked many specific questions about each dream and given biblical passages to refer to to prayerfully discover God's answers. You will specifically be asked to explore each piece of symbolism in the dream, and to note exactly how God interprets each symbol. In so doing, you will get a sense of how God interprets dreams. You will learn many practical, effective principles concerning how to interpret dreams, as well as five things you can do to help you recall your dreams. You will be able to interpret your dreams using these clear principles. Part Two is a repeat of the Bible Research section of Part One with our suggested answers to the questions from the guided meditation exercises. After you have done your own research (Part One), you may then turn to Part Two to compare your answers with those given. Truth is always more meaningful when you search it out yourself and receive it by revelation from the Holy Spirit. However, once you have done so, it is wise to then compare and submit what you have discovered to others who have gone before you in researching the same area. Section Two offers you the opportunity to compare your answers to the answers that the Virklers have discovered, and perhaps gain additional revelation. Part Three is a repeat of Part One, section one (Principles of Dream Interpretation). However, it adds classroom activities, homework assignments and breaks which correspond with each of the DVD or CD sessions, making this book an excellent manual for a small group desiring to learn dream interpretation together. On the DVDs and CDs, Mark demonstrates how he would approach the interpretation of a number of dreams so you get a sense of how it is done. Then, when the DVD is turned off, you are guided into interpreting dreams together in a group setting. Truly this is a masterful way for you to be trained up in the art of Christian Dream Interpretation. These are ideal for focused learning with the Hear God Through your Dreams book and for use in classroom settings. They are identical in content to the CDs. For maximum results, draw together some friends into a home group or Sunday school class and watch the DVDs over a 5-week period. Then spend a few more weeks practicing the principles of dream interpretation together. The DVDs bring an anointed trainer to your group, and your interpersonal sharing gives you instant feedback and confirmation that you truly are hearing God's counsel through your dreams! An unbeatable combination. A free download of some "Principles of Dream Interpretation" is available here. My dream: I had just finished listening to the vision CD [in the How to Hear God’s Voice series] - and I’ve been a left-brainer also most of my life. In the dream my wife and I were on a motorcycle and we were headed east towards Wisconsin. We stopped for fuel. They had a high tech gizmo for putting gas into the motorcycle and I couldn’t get the hang of it. The attendant was trying to help - first you do this - then you pull the unit out - then the gas will flow into the gas tank. I said, “Why don’t you just post a sign: Step 1, Step 2, Step 3.” ...and woke up. My thoughts: We are together in this (my wife & I) and we are headed East - more Eastern in thinking, more use of our right-sided brain. I’m struggling with it - even though some of your teaching is: step 1, step 2, step 3, etc. I’m a dreamer. I get vivid dreams at night and can easily recall them. However - during the day – I’m working more out of logic, reason, rational thought. Most of my life was as a chiropractor - focused on clinical nutrition; now as an RN - working in the IT department of our local hospital - moving more towards electronic documentation. I am getting some vision in the AM when I quiet myself down, focus on Jesus, tune to flow and begin to journal. I will get this. This particular dream just helped to confirm what’s coming - the flow - the fuel from the Holy Spirit and we are on a motorcycle - we are open - transparent - not protected nor shrouded by metal, plastic, etc. Journal – Question: Lord, what would You say to me about this? Some Reflections from Mark Virkler on Joe’s dream and journaling…Isn’t it awesome how God speaks to us by day and by night and guides us along the path of life? Did you note how God told Joe, too, that his wife could help him grow? This is one of the most important things God taught me when I began to journal. It was to honor Patti, my wife, rather than trying to get her to conform to me. Way too often people have told me that their spouses had given them counsel which they had disregarded, or admitted they did not even seek out the counsel of their wives! Please do not do this, for if you do, you are damaging your life and your marriage relationship. You are slowing down your arrival at your inheritance, which is “Promised Land Blessings.” So let’s seek out the advice of our spouses, and honor it and incorporate it into our lives, and experience the success God has planned for us! God called our family of six to leave our home, relatives and job in Pennsylvania and go to Bible College in New York State. He gave us that “word” in late July. We were thinking that “someday” we would go, but we were told by our Pastor that we could be in school that September. So we left our 5, 4, 3 and 1 year olds with relatives for a three-day weekend and went to Lima, New York to look for a job and housing. We spent every daylight hour looking for places to live and work. It was frustrating searching with no success and time was running out. Most places were either too small, too expensive or too far from the school. My wife and I looked at one house that was about 10 miles away and it seemed like it would meet our needs but we would have to make the decision to buy it or not in the next 24 hours. Our thoughts were that it was the only one that would fit so maybe “God was supplying.” Sue and I prayed and went to bed in the guest wing of the school. In my sleep, I had a dream. In the dream I was in jail. I was holding onto and looking out through heavy steel bars. But the funny thing about the jail was that I knew the door was closed but not locked. I could get myself out. All I had to do was open the door and walk out. But I was still inside looking out. In the morning I told my wife about the dream. I asked her what she thought and she suggested we ask God about it. We did and he told me that it was up to me/us if we bought the house or not. But if we did buy it, we would be “locked up” by that purchase and really not be free to do what He wanted us to. It was our/my decision to be bound or be free. We decided to “be free” and not to buy the house. That meant we were free but we had less than twelve hours left to find a place to live. We went into the lounge and sat on a couch wondering what to do next. Being summer, there were not many people on campus. One of the maintenance workers (a graduated student) came down the hall. He introduced himself and asked us what we were doing there. We told him. He said that he rarely went that way but God had directed him there for some unknown reason but now he knew why. He went on to say that he and his family had graduated and were moving on into ministry. The four bedroom house they lived in might be available when they moved that week. We tried to contact the landlord but his wife said he was golfing. We had to leave for home so we got directions to the golf course. Once there I hopped in a golf cart and hunted for her husband. I found him and he was puzzled why someone would be searching for him. He asked, “What do you want?” I told him we would like to rent his house. He reached out and shook my hand. He said my handshake was good enough for him and he rented us the house right there on the golf course. We lived in that house for the next four years. Praise God for the protection, freedom and guidance He provided in A DREAM. You may recall from my testimony that it was two Jesuit priests, Dennis and Matt Lynn, who taught me two of the four keys to hearing God’s voice. Well, I finally was given the opportunity to say “thank you” to the Catholic Church for this wonderful gift. 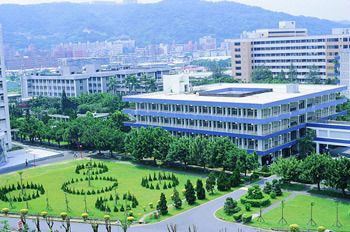 In 2010, I was invited to Taiwan to speak at the Fu Jen Catholic University on Christian Dream Interpretation. What an honor! The first university ever to ask me to teach on dream interpretation, and it was Catholic. I began the presentation by sharing the story of Dennis and Matt Lynn and the gift they provided to me which was so foundational in allowing me to step into intimacy with our Lord and Savior, Jesus Christ. I thanked them for the precious gift of these two Jesuit priests as well as for the honor of allowing a Protestant minister to speak at their university. The Lord anointed our workshop as I taught the principles of dream interpretation and we interpreted four dreams live through a Chinese translator, and into another culture. God’s grace was present and the messages in the dreams were profound and healing to the hearts of those who came to the front and allowed us to explore their dreams before about 200 professors and students. God is doing wonderful things in the world today! Let’s all take our part in sharing these powerful truths with those who are hungry. God gave me several dreams showing me not to neglect those who were doing the videotaping during two weeks of intensive teaching. In the first dream I found myself brushing off a person who came to me with a prayer request and I felt awful for doing that. In another dream my computer was stolen from me and then destroyed. When I journaled about these dreams God said that even though I was completely engrossed in the videotaping project, which involved getting our teaching onto DVD in a bilingual format, I should not neglect those who were present and actually doing the videotaping. They, too, should be taught how to hear God's voice. I should not brush off their spiritual needs while I focused on this big technical taping project we were working on. The technical part (my computer) could be removed and destroyed. Let's put first things first. People come before projects. Tools and projects can be taken from me if I put them before people. I needed to minister to the spiritual needs of those doing the taping. I was out of balance. The Lord was calling me back. Tim (the production manager) agreed with the above message from the Lord and so he scheduled group morning devotions for all those involved in the taping production. During these two weeks everyone learned how to hear God's voice and they all became regular journalers. On top of this, during lunchtimes we worked on interpreting dreams together as a group, and before the second week was over we had more than 20 videotaped examples of two-way journaling from this group, as well as several dreams interpreted. All of these were then added to the DVD teachings so people can see real life examples of the teaching being put into practice! Click here for short video clips of the technical crew sharing excerpts of their journaling. A deep love and bond grew between all of us during these 12 days of morning ‘til evening taping marathons and the sharing of meals and lives together. 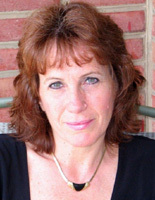 My name is Suzanne Cerniglia and I am the founder and co-owner of the King’s Dancers Christian School of Performing Arts located in Schenectady, New York. I would like to tell you a little about my testimony of how the school came about. 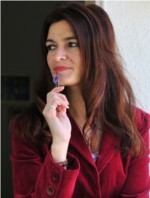 In 2002 I had recently gotten married to my husband Salvatore Cerniglia at a young age of 19 years. I had completed a 2-year degree in early childhood education in a community college just before getting married. I really felt in my heart that there was something special for me to do as a career so I began to pray for God’s perfect will for my life. Around this time my husband Salvatore introduced me to Mark Virkler’s courses at Christian Leadership University, specifically Communion with God, and Wisdom Through Dream Interpretation. It was while I was taking these classes that God revealed to me His special calling for my life. While I was taking the classes I decided to enroll in nursing school. I felt like I would be a good pediatric nurse, so I completed the first year and was starting my second year when just then I had my first dream in the night regarding my calling. In my dream I was on a hospital floor and all my other classmates where in their nursing uniforms. However I was the only one not in my uniform, but was actually in a classical ballet leotard and tutu. I felt so out of place in my dream. I did not think much about that dream but I did write it down in my dream journal as instructed in the course. I continued with my nursing school at that point and about one month later received another significant dream. Dream #2: Down from heaven was sent a very colorful dancing streamer. I jumped up and grabbed it and started climbing up the streamer into heaven. There I found that I was standing in front of the Living God! He spoke to me in a low and beautiful voice. He said “Now you are ready.” Just then He proceeded to pour what looked like gold paint from the top of my head all the way down my body until I was covered with gold paint. Then I awoke. I immediately wrote down all I could remember in that dream in my dream journal. It was so powerful, but I still did not know what I was ready for. God could not have been any clearer to me than in this dream. I do feel that through this special Christian Dream Interpretation course, and the Communion with God course, God revealed the plan He had for my life. I feel fulfilled and I know without a doubt that God has made me to bring Him glory by teaching others to dance for His glory. As I reflect back, here I am in 2009. The King’s Dancers had grown considerably since starting with 4 students in the basement of my sister-in-law’s house. The King’s Dancers now has about 165 students ages 4 to adult, a staff of 9 teachers, and are in 4 locations within a 60-mile radius. 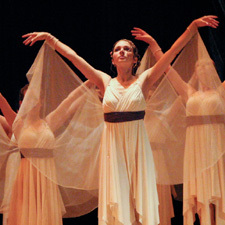 We offer a variety of types of dance and worship including ballet, tap, Irish-step, hip-hop, flag and banner technique, and incorporate into prophetic drama. What is amazing is that we do very little marketing for the dance school. It is so clear that God is behind what we are doing, because He just sends the students and teachers effortlessly. Praise be to our God! Since 2002 the King’s Dancers have been able to perform at Christian events, secular high schools, special church services, and other events in our local community. Last week, we were featured by our local newspaper, the Albany Times Union, which did an extensive article and video on the King’s Dancers. We did not seek them out – the Albany Times Union sought us out for unknown reasons. They were so intrigued with and interested in our Christian Dance School. Enter the site by clicking “About Us” button. and click on “Video Clips” Icon. You will see “King’s Dancers Promo” as one of the selections. Double Click on “King’s Dancers Promo” to watch the video. Enter the site by clicking on “About Us”. From the “About Us” page look for tab called “Newspaper Article”. Click on the tab and then scroll down to read this. I just want to give God all the glory for all that He has done in my life the past 7 years. I also want to thank Communion with God Ministries and Christian Leadership University for making the tools available for me to connect with God in a more intimate way that allowed His vision and call for my life to develop. It was these tools and teaching of these courses and materials that allowed me to connect with and receive divine direction for the vocation and calling God had planned for my life. What is truly amazing, and scriptural, is how one or two dreams, and one or two journals can change your whole life’s direction and destiny. I love God more than ever, and love my vocation and ministry. There is no other way all this could have happened if it was not for Him! If you connect to Him…you will connect with your destiny! The Setting: I was mad when I went to bed. I don’t remember why but someone had wronged me and I had a right to be angry and I was! The Dream: I opened the door to my house and a bull was right outside. He somehow knocked off my glasses, then stepped on them and crushed them. What is the main action of the dream? Answer: Knocking off my glasses and crushing them. What does this action symbolize? Answer: destroying my ability to see clearly. When I open the door to anger, I lose my ability to see things clearly. When I was a Christian Leadership University student, one of my favorite classes was on interpreting dreams. I went through the whole workbook that the Virklers put together on studying every reference to dreams and visions in the Bible. I was surprised to reread very familiar stories and realize what significant moments took place in a dream or a vision, like Solomon's request for wisdom. Seeing them all together showed me how this was a way God spoke to His people over and over again in His Word. What makes us think that would change today? I started paying attention to my dreams throughout this course and onward. I even ended up writing a book, that I will one day release, about how God speaks through dreams. After completing this course, I got so many dreams from God. I wrote about over 70 dreams that God used in the realm of encouragement, direction, exhortation, warnings, preparation dreams, and even healing dreams. God also sent me dreams about things going on in the lives of others, either so I could intercede for them privately in prayer or confront them directly about an issue facing their lives. In one of those, I was warned that a friend was suicidal. When I tracked her down, it turned out to be true. Her life was changed knowing God cared enough to send a dream to a friend about her emotional state. Had I not learned God spoke this way, I don't know if I would have paid attention to the dream. Learning the concepts the Virklers had to teach was life changing for sure! I had been home taking care of kids staying at the house - looking after them. It felt kind of good to do. I had to go get something at the store. I walked in and went to counter holding a bunch of paper cups in plastic wrap. I gave them to clerk to pay for. As I had walked in I saw Les in line. I was glad to see him. I knew I was thinner - he might comment! He greeted me. The clerk said $7. I had brought $6 in bills and $1 in change in my pocket (one for every cup)? I was proud I had just enough. Clerk said she would take payment later (on Sunday) if needed - she trusted me. But, I had just enough! I was very happy - I was prepared. They trusted me. Summary: Bought some cups for $7 and was glad I had enough. Cups = days = represents my need to be FILLED every day with ENOUGH grace, strength and anointing to do what I need to do. "Les" = "less" = represents the part of me that worries I have LESS than what I need to get through the week. I also need to DO LESS than what I'm currently doing. "$7" = 7 days of the week = I need enough grace for each and every day - my weeks have been very full with almost no time off. "She would take payment later...on Sunday" = If I don't have a day off or some time to recoup, I PAY FOR IT on Sunday when I try to lead worship out of deficit. I can sense when the anointing isn't as strong and I'm weary. The fact that the clerk trusted me indicates God's heart. He does trust me in matters of integrity and my willingness to PAY THE PRICE (in my calling). However, I must CHANGE in my habits. I have to take a day off! I can't keep operating on this tight budget of time. I started out at home - feeling happy and satisfied - this is where my rest needs to be - at home with my family! Where I have been satisfied to operate with "just enough", God ISN'T! He wants me to live and flow out of OVERFLOW in life - from my times of rest and refreshment, not out of having just enough. He is showing me some subtle pride and presumption that is creeping into my thinking. Though God is full of grace, I cannot continue to presume upon His goodness to cover me for my lack of rest and reflection. I need to re-direct my energies and strength to have MORE than enough from week to week. The dream dealt with struggles being faced by Wanda’s heart. The numbers were literal (7 = 7). The numbers were connected to something symbolic (cups = days). There were several plays on words (“less” and “change”). It was calling Wanda to action (repentance for creeping pride and workaholism). Wanda told me that she acted on the dream, repenting of both sins, and then experienced increased anointing. Our social network, Koinonia Network, offers a forum here where you can share and interpret dreams together. Rev. 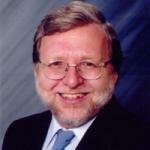 Herman Riffel was Mark Virkler's mentor in the area of dream interpretation. www.dreamsinfo.com is his website. You can purchase his materials through www.cgllcmedia. To ensure that this message transforms your life, we offer you four options. Any of these choices will assist you in internalizing this teaching, helping you to be a doer of the word and not a hearer only (James 1:22) and allowing you to produce a bountiful harvest in your life. This home group in Slovakia shows the excitement of learning to hear God's voice together! Coaching or discipling is the method Jesus used to train the twelve disciples. When you team up with someone ahead of you in an area to mentor you, and you share your questions and steps of growth with them, receiving their counsel in return, you ascend more quickly into mastery in that area. We have trained coaches who have mastered this topic who will commit to working with you for a 90-day period. Earn college credit while being apprenticed to mastery in this area! This topic is available as a course which you can take from your home through the distance learning program offered at Christian Leadership University. You may enroll in this course as a lifelong learner or apply it toward an Associate, Bachelor, Master or Doctoral degree. Transform your church and region by hosting a weekend seminar with an anointed trainer, where an impartation is released by the Holy Spirit into your community. 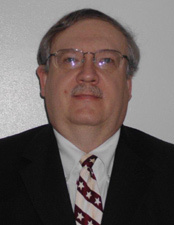 Mark Virkler and others are available to be scheduled. Everything you need to run a successful home group or Sunday School class on "Christian Dream Interptretation." Wow! Offer this innovative course with Dr. Mark Virkler teaching in your small group by way of DVD, and let your friends learn to receive God's counsel to them through their dreams at night. What could be better? Divine wisdom and perspective, free, every night, from Almighty God -- how could you possibly beat that?! Some dreams are prophetic. Especially if God has called you to be a prophetic intercessor, which sure appears to be the case with Danielle Brown-Davis, who states: "I have been a Christian all my life. I was practically born in the church. I got saved at age 12. My husband and I attend Huntington Baptist Church in Huntington Village, NY."